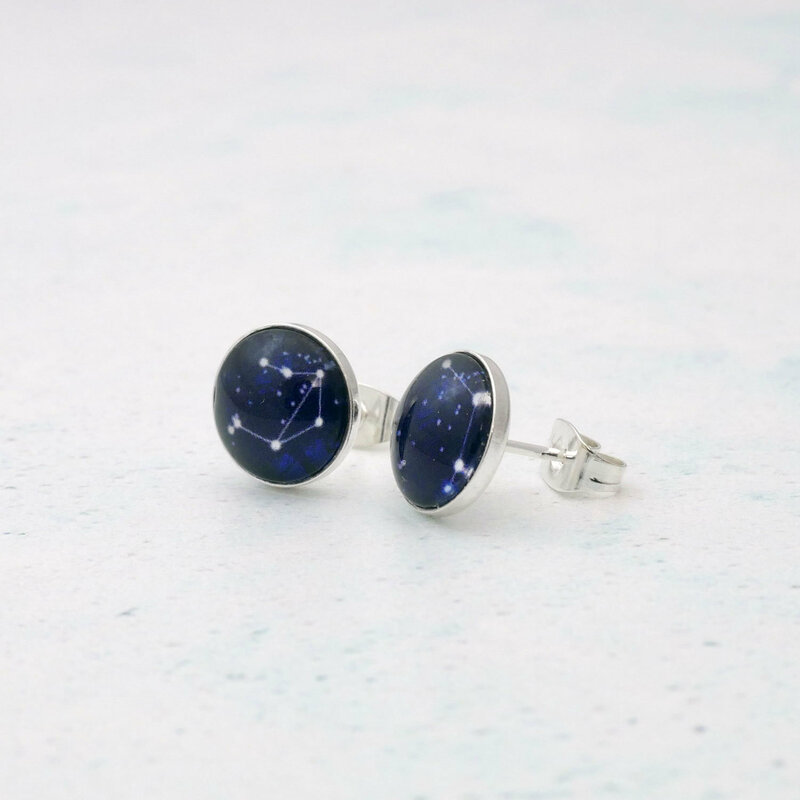 Personalised Sterling Silver Zodiac Constellation Earrings featuring your chosen Zodiac signs or constellations set under glass domes to bring out the colour and detail of the design. Your stud earrings are available as a matching pair or as a mix to represent the special people in your life. These unique and unusual earrings are the perfect personalised gift for those who love to look at the stars. 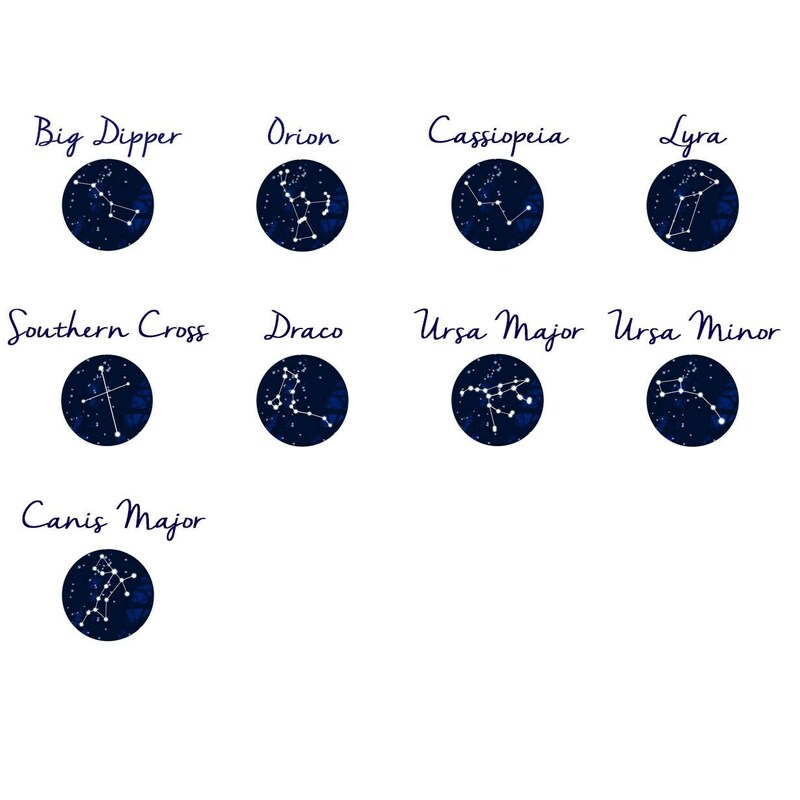 If you can't see the constellation you are looking for in the drop-down please contact me and I will be happy to create them for you. - - These earrings will arrive to you with both butterfly backs and a pair of rubber stops to hold the earrings in place. 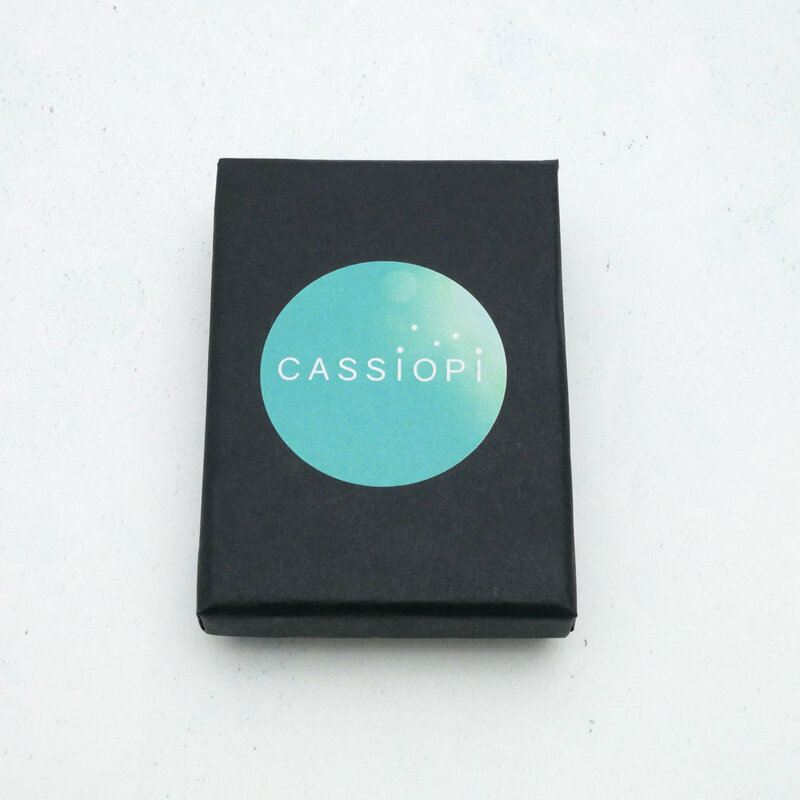 Your stud earrings will arrive to you in an attractive eco-friendly gift-box, ready for gift giving. The earrings are fine to be worn in the rain, however they are not waterproof so please don't wear them whilst showering, bathing or swimming. To keep your earrings shiny and tarnish free, store them in an airtight container somewhere dry. Wonderfull. The closing is a little funny. You cant put the lock direct to your ear as with other ear rings. There is a small seethrough plastic thing that goes on the stud before the lock (dont drop it, it takes forever to find). Dont know if its because of gravity. They are a little bit heavy, but not something to notice, when you have them on. Absolutely awesome! I LOVE these so much! 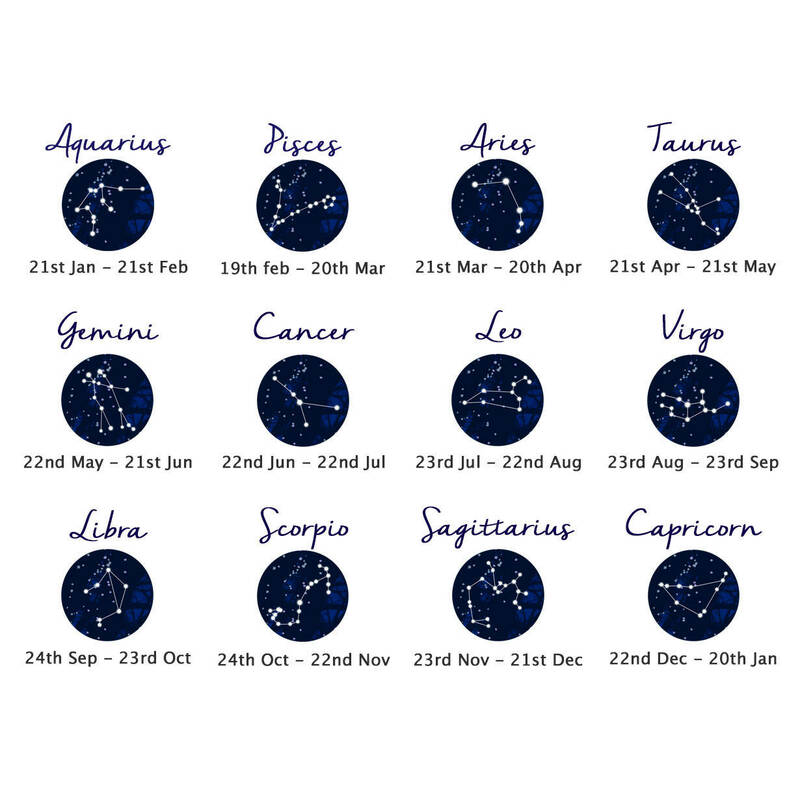 I got my children's astrological sign and my husband's. SUPER FAST shipping too! 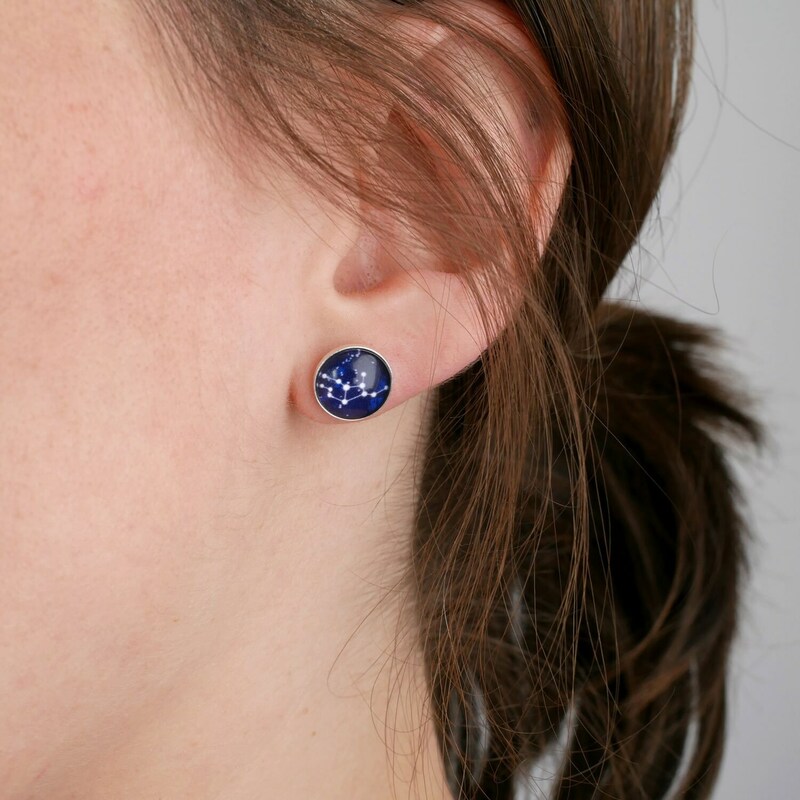 Highly recommend this seller and these earrings. Thank you so much! Love these - I always get compliments when I wear them!